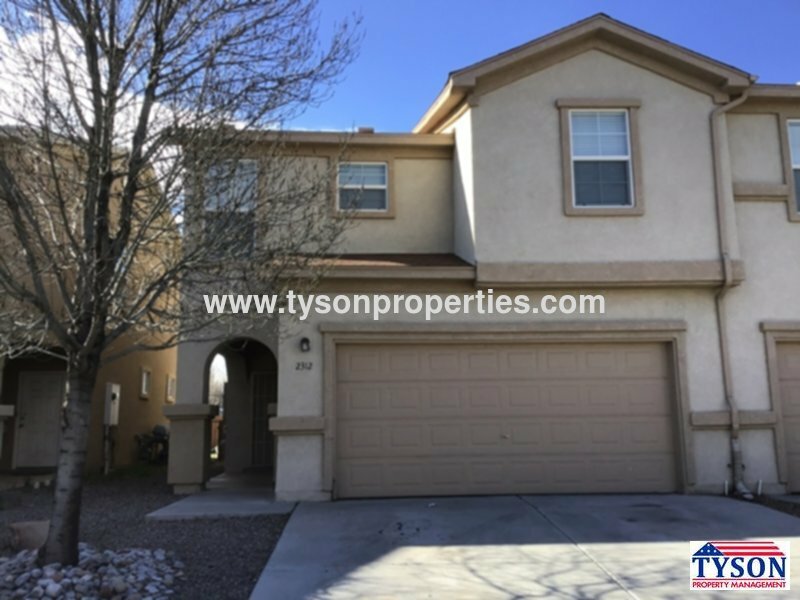 Lovely Townhome located in Southeast Albuquerque off Gibson and Yale in the Victory Hills Neighborhood near Isotopes Park and Dreamstyle Stadium. As you enter into the home there is a spacious living room available that leads into the tiled dining room. The dining room has quick access to the backyard via glass sliding doors. The Kitchen of this home features a breakfast bar and all major appliances including a built in dishwasher, a built in microwave, a refrigerator, and a stove. A guest bathroom completes the lower level. Upstairs holds a loft, two guest bedrooms, a guest bathroom, a laundry room, and a master bedroom. The laundry room has washer and dryer units included as well as convenient counter space and cabinet. The Master Bedroom is large with windows that allow ample natural lighting and a master bathroom that has a vanity with a long counter top and extra cabinet space for increased storage. The exterior of the home includes a landscaped backyard with fencing.